With the emergence of the World Wide Web, analyzing and improving Web communication has become essential to adapt the Web content to the visitors’ expectations. Web communication analysis is traditionally performed by Web analytics software, which produce long lists of page-based audience metrics. These results suffer from page synonymy, page polysemy, page temporality, and page volatility. In addition, the metrics contain little semantics and are too detailed to be exploited by organization managers and chief editors, who need summarized and conceptual information to take high-level decisions. To obtain such metrics, we propose to classify the Web site pages into categories representing the Web site topics and to aggregate the page hits accordingly. 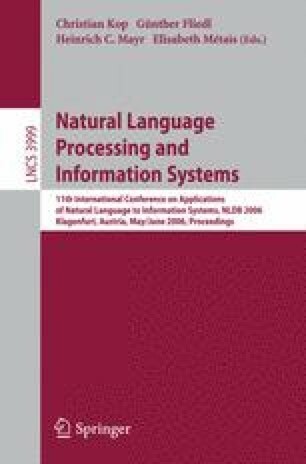 In this paper, we show how to compute and visualize these metrics using OLAP tools. To solve the page-temporality issue, we propose to classify the versions of the pages using automatic classifiers.